Having good snorkeling fins is an important factor for an enjoyable and comfortable underwater experience. In this step-by-step guide, we will explain to you what type of snorkel fins are available, how to choose the best flippers and give you some tips on how to us find the correct size. 1 What are the best snorkeling fins? 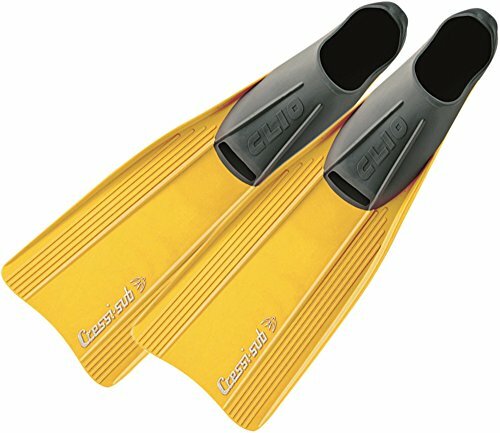 2 Why do you need snorkeling fins? 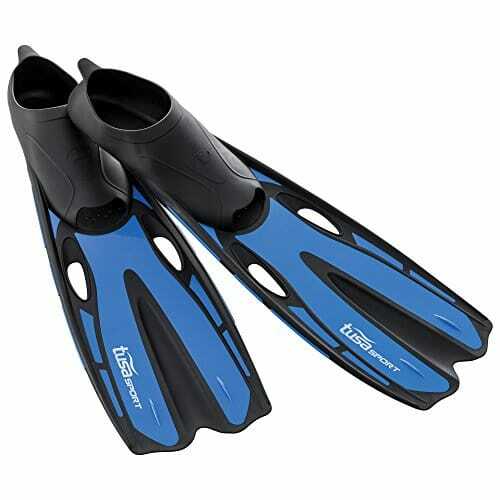 6.1 Which is the better for snorkeling, short fins or long fins? What are the best snorkeling fins? Deciding what fins are the best for snorkeling depends on factors like efficiency, durability and personal preferences if it comes to design. If you are in a hurry and want to get a quick answer what snorkel fin to buy, see our recommendations right below. 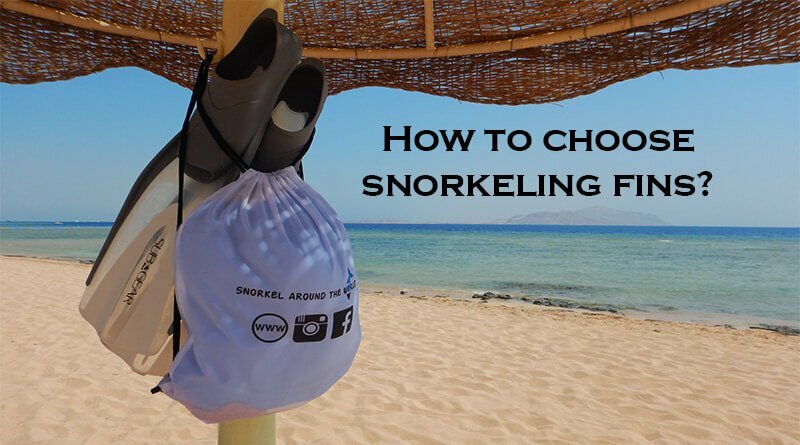 For the full snorkeling fins buying guide scroll down where you find our explanation with useful advice on how to choose snorkel fins. The name Cressi is well-known on the market of snorkeling and diving goods. This Italian company supplies gear for water-sports enthusiast and their products offer high-quality. 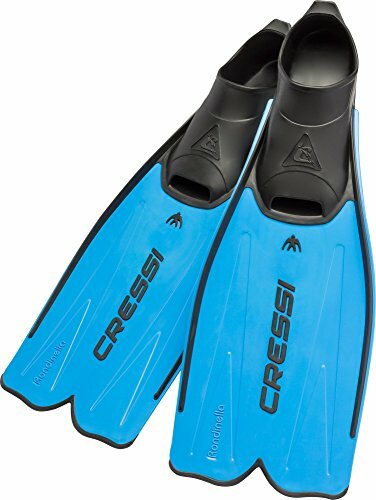 Cressi flippers are one of the best snorkeling fins available for those who seek compact fins for traveling. 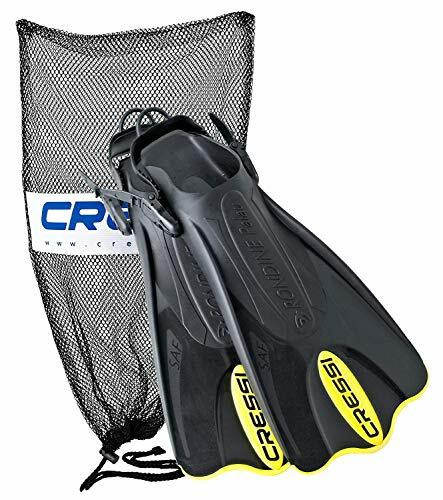 Cressi Palau SAF (Short Adjustable Fins) are good for various watersport activities including snorkeling, swimming, surfing etc… The adjustable foot pocket can accommodate various shapes and sizes and can be worn on barefoot and with footwear too. These short paddle fins will satisfy all needs of casual snorkelers: they are super light, easy to use with short but powerful blades for increased propulsion in the water. The ultimate compact-size fins for traveling! U.S. divers offer a wide variety of products for watersport fanatics but their flippers are definitely among the best snorkeling fins. The open heel Trek Travel Fins are good choice for the whole family. The foot pockets fit a wide variety of foot shapes. The adjustable strap makes easy to set up a snug yet comfortable fit. Short, dual composite blades improve the power of your kicks making your movements in the water efficient. 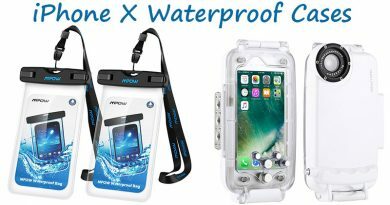 These extremely portable fins are not only snorkelers’ first choice if it comes to find travel-size fins but also good for bodyboarding and swimming too! Rondinella full foot long paddle fins are the latest addition to Cressi snorkeling line but gained already popularity thanks to its lightweight, powerful designs and top usability. The anatomic soft thermo rubber foot pockets providing extra comfort, while the reactive polypropylene blades offer super propulsion making Cressi Rondinella an unbeatable choice amongst paddle fins. Pull-tabs on the heel make donning/doffing easy. 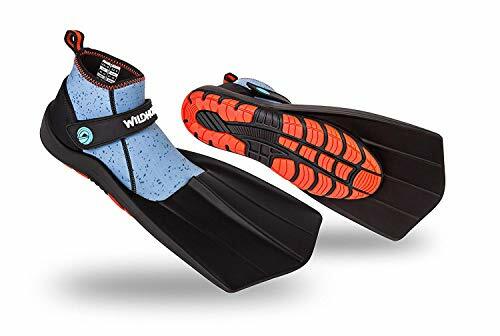 The company Wildhorn Outfitters after the success of their full face snorkel mask came up with this revolutionary product that combines short paddle fins with a neoprene bootie. Topside fins are walkable, can be used on land and sea. No more rubbing, no more injuries when walking on rocky shore! Snorkel fins were never so comfortable! The lightweight, compact design is perfect for traveling too. The inserted neoprene bootie makes the fin afloat so you won’t lose it if it falls accidentally in the water. Fits like shoes, you just simply need to slip in and customize the fit with the adjustable Velcro strap. The fit needs to rather tight when dry since the neoprene will expand in the water. The high-quality materials like polymer blend base, premium neoprene and rugged strap ensure durability. If you are looking for a fin for casual snorkeling that is compact and multifunctional, Wildhorn Topside fins are the best snorkeling fins you need! A classic but popular model from Cressi. The Everlasting snorkel fin, also known as Cressi Clio fins are on the market for more than 20 years but still one of the best snorkeling fins available on the market. 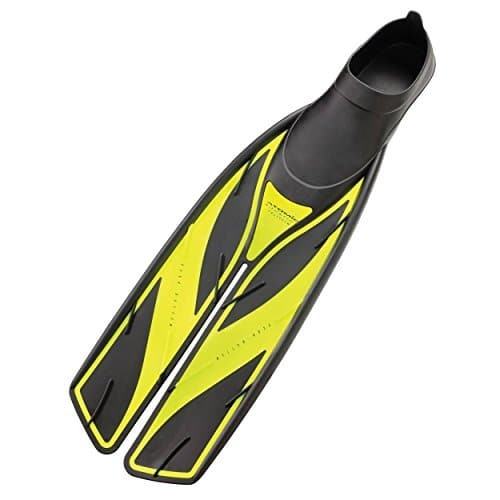 The traditional closed heel fins with responsive composite blades and with a special, computer designed foot pockets are excellent for snorkeling as well as for swimming. The Cressi Clio is available in different colors and a wide range of sizes from small kids sizes to XXL sizes for men, making it the perfect choice for the whole family. High-quality materials secure durability and maximum comfort. Choose the Everlasting snorkel fin if you want powerful and truly long-lasting product! Why do you need snorkeling fins? Snorkeling is an easy-to-learn water sport that doesn’t require a lot of equipment. Technically, you can start it having a snorkel mask only! 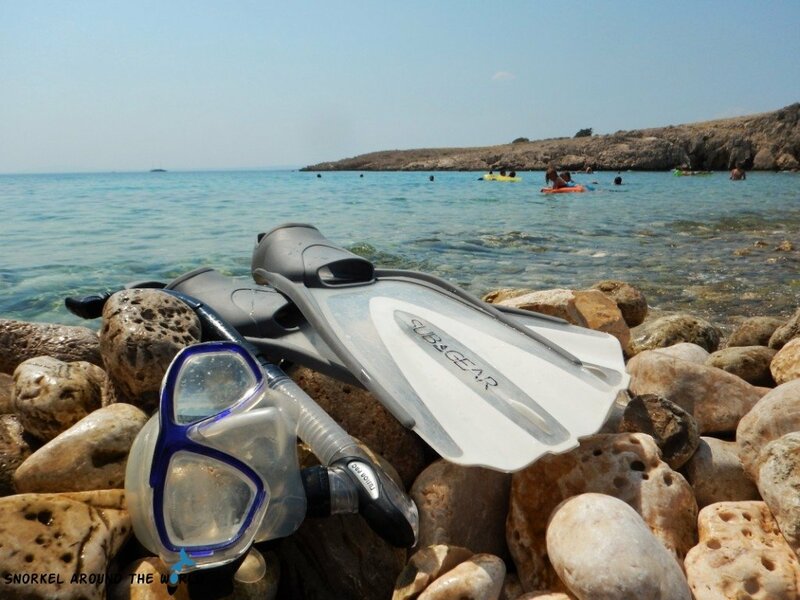 But for the best experience and being safe in the water, we recommend to have full snorkel equipment that includes a good snorkel mask with snorkel tube and fins. Swimming with fin helps you to move in the water using your legs only and freeing your hands. The purpose os using snorkeling fins is to make swimming more efficient as well as making navigation between corals and around marine life easier. They provide some floatation that helps to stay horizontal and prevents your legs getting tired. Tip: Beside these snorkel gear, we recommend to wear UV protection swim clothing to protect yourself against sun and jellyfish stings. 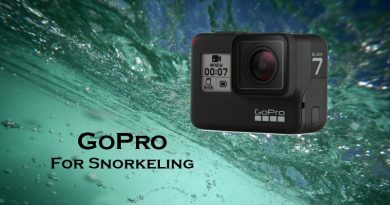 If you get a snorkeling camera too to record your underwater memories, you can say you are a fully equipped professional snorkeler! Fins come in two types that are the closed foot design and the adjustable open heel models. Full foot or closed models you can slip in even barefoot, practical to use them in warm water. Open foot models come with wider foot pocket with an adjustable strap around the heel that makes them usable with neoprene boots while diving/in colder water. 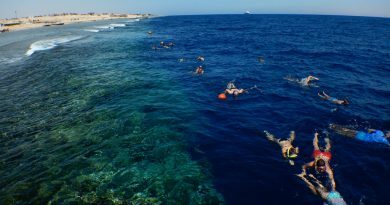 If you usually snorkel usually in warm water, a closed foot fin -also called full foot fin- is a perfect choice for you! Most snorkeling fins come with full foot open toe design with the purpose to be easy-to-slip in. 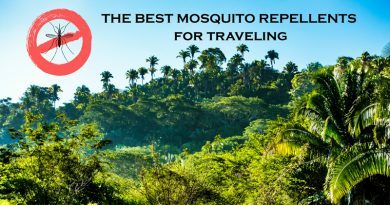 They are lightweight, spare space in the luggage and provide you great efficiency. If it comes to sizing, it is important to find a good fit, although open-toe models allow some flexibility and you also can compensate with neoprene snorkel booties if the foot pocket is a bit loose. These models (also called open heel type) have an adjustable strap around the heel and usually made for divers who wear them with neoprene boot. Wearing a bootie gives you thermal protection that is important when swimming in cold water. Although, diving boots are extra stuff in your package and open heel fins are heavier! Using open foot fin with booties are not effective for surface swimming. The neoprene material of the boot will keep your feet out of the water making swimming not efficient and tiring. 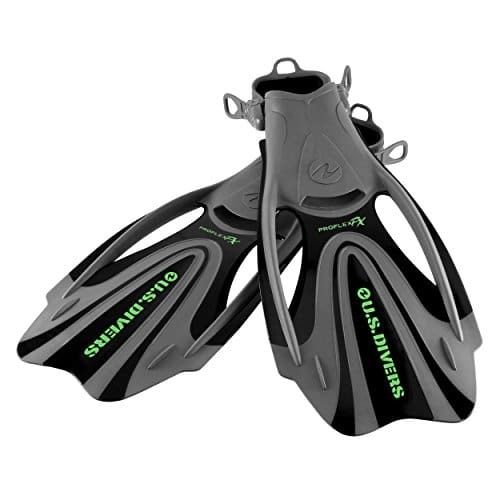 But you find adjustable snorkel fins too that provide you a greater flexibility if it comes to sizing, therefore are good if they will be shared with family members or will be used by kids with growing feet. You can use open heel snorkel fin on barefoot too. However, it is more comfortable to use it with neoprene socks to prevent abrasion. From both above categories, you can find paddle fins and split fins. Paddle fins are the traditional fins. Splits are divided in the middle. The statistic shows the majority of the best snorkeling fins are paddle fins that come flexible yet powerful blades. Split fins are good for people who have weaker legs or suffer from joint problems. Split blades offer easy movement without tiring the legs. With split fins, it is easier to swim but your efficiency will be worse. The split fins are not suggested in strong currents! Use them is shallow, current-free areas. To answer the question what are the best snorkeling fins, we say the ones you feel the most comfortable and therefore sizing is an important factor. But don’t worry, your fin doesn’t need to fit perfectly since the foot pockets made from soft rubber allowing some flexibility. Especially the open toe full foot pocket fin models tend to fit for various sizes making a fin usable for a long time. 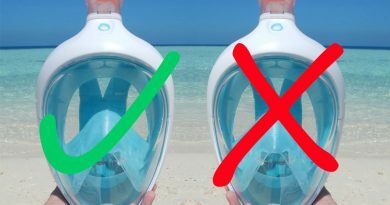 No matter which design you choose, closed or open heel snorkel fin, they need to provide a snug, but not too tight, not too loose fit. The general practice is that you need to buy the actual shoe size or one size bigger if you would like to use them with 2-3 mm thick neoprene socks what we strongly recommend to avoid irritation and rubbing. We advise browsing snorkeling fins on Amazon where you find a large selection from the best brands and the good thing is that you can get extra small and XXL sizes too, that physical shops usually don’t keep on stock. if your heel comes out easily, it is big. Try to compensate with neoprene socks! If the difference is too big, get smaller size. see if you have a little space between your heel and the end of the foot pocket. Like when buying a normal shoe, the size is good if you are able to put a small finger in. Almost all snorkel fins are good for traveling too thanks to its lightweight design, but there are special travel size snorkel fins with short, wide blades. But are short fins good for snorkeling? It sounds good that they need less space in your luggage but in fact, they are not so effective in the water. The super short blade fins are designed for pool training originally to increase the efficiency of the training. Also, short swim fins are good for bodyboarding, surfing but they are not effective on open water where you might need to swim against currents. With a medium length snorkeling fin your kicks get powerful, with a short travel fin you have to make more movements and you will use more energy. 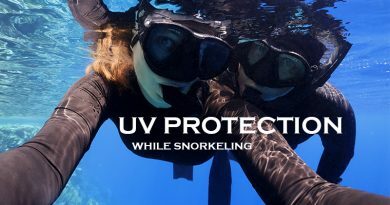 Choose a compact snorkel fin for traveling that is lightweight but has medium length blades like the Cressi Palau Short fins or US Divers Trek Fins ! Which is the better for snorkeling, short fins or long fins? As mentioned above, short fins work well while pool training only but not enough powerful for snorkeling. But what about long blade fins? There are special freediving fins with extra-long blades that might seem a good option for snorkeling because they are extremely effective, but we don’t recommend them for snorkeling. The reasons are simple, first of all, while swimming around shallow coral reefs, you need to be careful not to cause damage. The longer the fin the easier to break corals. 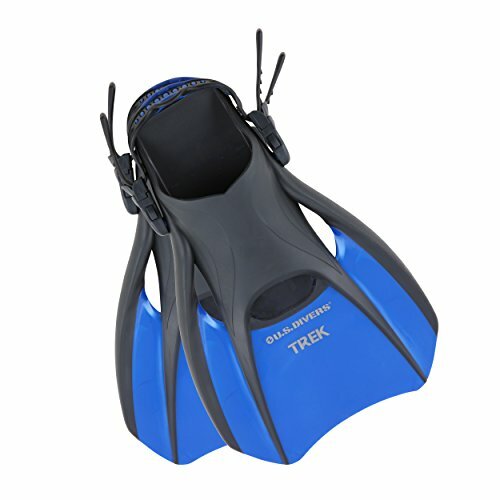 The second reason is, long fins are designed for freediving, for swimming underwater. Therefore, they come with stiff blades that provide great propulsion when diving deep. But the stronger, rigid material these fins are made of making surface swimming hard and tiring. With these in mind, the best is to choose fin with medium-length blades for snorkeling!